SoCoMo Technologies Pvt. Ltd, which runs delivery services and auto-rickshaw aggregator app Jugnoo, has said it will sell 3D printers as well as provide on-demand 3D-printing services, in partnership with a Korean firm. Under the pact, SoCoMo will act as GEM Platform's Indian re-seller of 3D printers that make objects from poly-lactic acid and oil-based acrylonitrile butadiene styrene. SoCoMo will sell, among others, Gemini, which is GEM's flagship 3D printer that offers web-based integration, it said in a statement. On-demand 3D-printing services will be offered through an online store called Printo, which can be accessed through the Jugnoo app. Printo will allow the client to create a customised product or prototype, which will be delivered to his doorstep. SoCoMo has said it is looking to rope in third-party 3D-printing merchants on Printo across cities who cater to sectors such as education, medicine, architecture, automotive, and electronics. "We also plan on expanding our services by educating kids on 3D-printing technology, hardware and software, designing, linking and other basic details. We are empowering tomorrow's creators by integrating technology in their disciplines. For instance, inculcating 3D printing into the existing curriculum of robotics could also be a good platform in shaping the kids’ future," said Samar Singla, founder and chief executive officer (CEO) of Jugnoo. Singla also said the company was aiming to provide a hands-on experience to students of creating a 3D-printed model. "Jugnoo will also have experts and professionals who would train students. This would open up more opportunities for higher education," he said. Interestingly, Pasadena-based New Matter, which announced it would be shutting down its operations, had taken the same route in its early days. 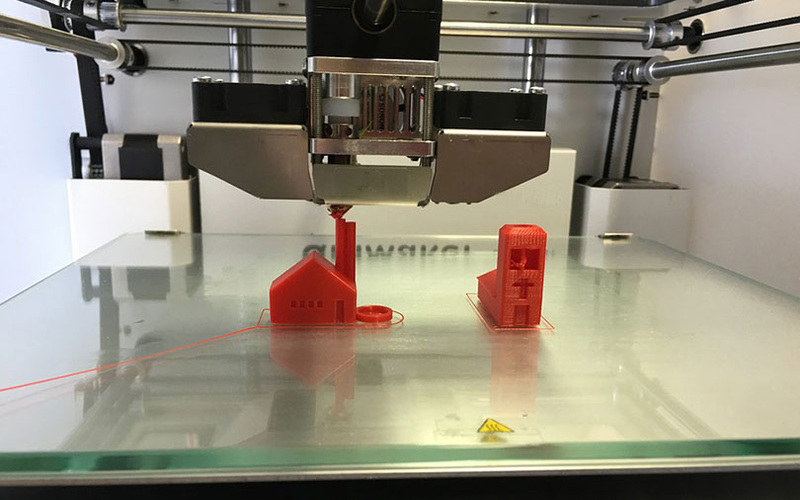 "In 2014, New Matter began our journey to make 3D-printing accessible and affordable to homes and classrooms across the country. We introduced the MOD-t, the world’s most elegantly simple 3D printer, and sold more than 10,000 units to enthusiasts, kids, parents, and schools around the globe," the firm said in a letter announcing news of its imminent shutdown. In April 2016, SoCoMo had raised an additional $10 million (Rs 66.5 crore) in an extended Series B round, much of it from existing investors led by the parent of digital payments firm Paytm -- One97 Communications. The investment came three months after Singla told VCCircle that the company was in talks for a $30 million Series C round which it expected to close by January-end 2016. The startup had raised $3 million in November 2015 in the first tranche of its Series B round led by existing investor One97 Communications and then added $2.5 million to close the round in January 2016 for a total of $5.5 million. The startup had raised $5 million (Rs 32 crore) in May 2015 in Series A round from Snow Leopard Technology Ventures, One97 Communications and others. Before that, it raised $1 million from Rakesh Mathur, co-founder of comparison shopping engine Junglee acquired and relaunched by Amazon; Vikas Taneja, senior partner and managing director at Boston Consulting Group; infrastructure firm Kirloskar Brothers Ltd; and others in a seed round in early 2015. The firm was co-founded by IIT-Delhi graduate Singla and Chinmay Aggarwal in November 2014. It focuses on four segments — auto-rickshaw booking services, taxi aggregation, online ordering and home delivery of meals and groceries. The taxi aggregation segment was added in July 2015 when Jugnoo acquired BookMyCab in a cash-and-stock deal. In September 2015, the Chandigarh-based startup had acquired (http://techcircle.vccircle.com/2015/09/15/exclusive-jugnoo-acquires-two-tech-startups/) restaurant discovery app Bistro Offers and mobile-only services marketplace yelo.red. In the grocery delivery space, Jugnoo competes with Grofers, PepperTap, BigBasket, and others.